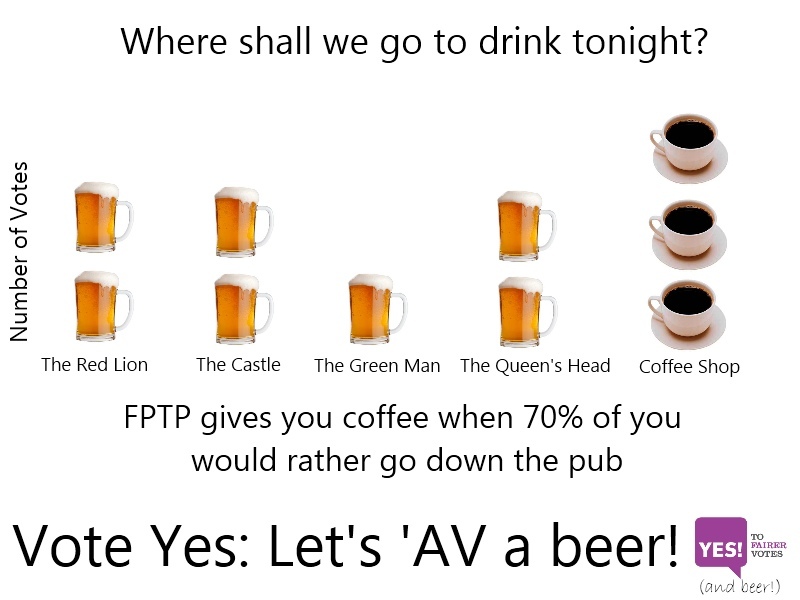 Yes to AV – Where do you want to go for a drink? There’s a fair number of unofficial ‘AV isn’t that complicated’ posters and videos doing the rounds. This execution uses the analogy of a group of people deciding where they want to go for a drink to explain it. This (and many others) are nicely put together and certainly help demystify the AV system. However, what the Yes camp have been struggling for throughout the campaign is that silver bullet sentence that explains as well as it convinces.